Legacy@BOM4 , More than 120 Dual lands to win, 6 P9 pieces and a lot more to win. Prizes for top 50 ! Vintage@BOM4, more than 30 P9 pieces, 90 dual lands, mana drains, Bazaars of Bagdhad and a lot more to win. Prizes for top 50 ! A non screened Alpha Booster and a Secret Special Gift. While trading is fine, please note that buying/selling cards with anyone except for our authorized dealer(s), or soliciting to do so elsewhere, is strictly forbidden at this event. Failure to obey this rule may result in both the buyer and the seller being removed from the event without refund, and banned from attending future events. BoM Events also reserves the right to limit the amount of space being occupied by any one individual while trading, and does not allow the use of suitcases, handcarts, luggage carts, etc. to be used for the purpose of transporting excessive amounts of trade stock. Hemgath/Manu and all BoM crew. If it is at all possible for me to make the trip, I will. I don't think I can, but with prize support like that one would think that you're going to start drawing American players. Amazing, absolutely amazing. It's wonderful seeing events like this. Thank you. This is awesome. I will be there for sure if my family permits. Thanks to Emmanuel and Lois for organizing this! I'm going Looove this tourney! How poor is the language barrier? If I were to say, make it a college graduation trip, would I have ELD Sized problems with folks not knowing english? Vintage will continue to be awful until Time Vault is banned from existance. Unless you speak spanish, french, intalian, dutch and german perfectly, english is fine. Usually there is no problem talking english to any opponent on these tournaments. I had bigger problems talking to german players in german (being german myself). What do you think the best (read cheapest) way to get there from the Uk is? I am at uni for a year here and haven't traveled much, but I would hate to miss out on BoM. @merfolkOTPT: You should be able to fly on a lowcost airline like easyjet or ryan air to either Lyon or Geneva. I'm hoping to book soon - and last time I checked you could get a flight for around 60 quid with a bit of shopping round. Myself and a few Canadians are planning to make this, really excited. Should be pretty freaking awesome. Take part in a Bom Trial announced on this page, this way you can earn 2 byes if you win the tournament, 1 bye if you end up in second place. Don't hesitate to play ! One reminder, byes are not cumulatives, if you end up second two times in a BoM Trial, you won't get byes, only one. No one can get more than 2 byes for BoM 4. 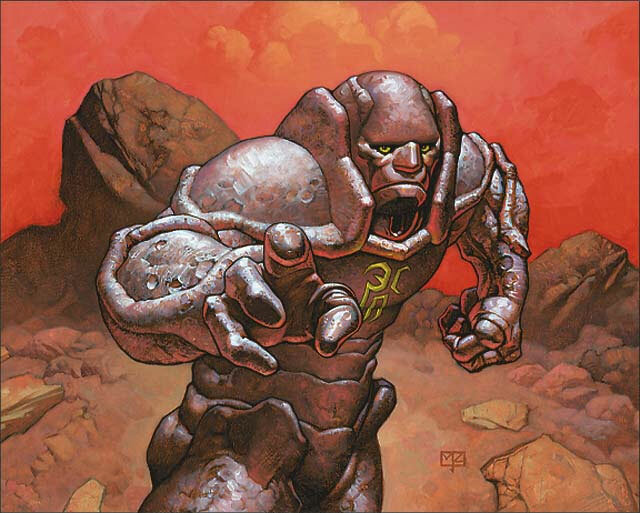 BoM staff offers you to organize trials for Bazaar of Moxen 4 which be held 13 to 16TH May 2010. These trials can take place from now until 2nd May 2010. Prizes are awesome, and seeing some American people would be even more awesome! Seems like few trials are not on the list, unfortunately. There are 300 registrered players for the Legacy tournament and 200 for the Vintage tournament. Hurry up to register yourself, these tournaments begin in 2 weeks. The first 3rd FBB draft is complete. We find a second booster box foir a second draft. For this one, there are still 4 slots available. will each receive one unique and specially designed playmate! I am in awe of how awesome this is. If I could make this, I would be there. I'm sad to be an American for the first time in my life. Those playmate's are a very nice idea. You should provide the possibility to buy participant playmate's as a souvenir. I hope the people from overseas will make it, the volcano from Iceland is spitting ashes again and there might be some issues with the flights to Europe. Wish you guys good luck, would be great to meet you/see some of you again! Right now, only david caplan (+2?) and me are coming from Canada as far as I know. As bb-g said, those playmats are absolutely ridiculous, I would like to purchase one since I have a 0.000000001% chance of winning (that's the odds of all my opponents not being able to find the table before 2 match losses). Any ideas? Also, f*ck the volcano. Seriously. Just the number of participants so far: 345. Terrific! They also got like 550? for legacy. This tournament was absolutely INSANE. The prizes were awesome, the judges and the organizers were fantastic, the on-board food was great (Jerry Yang is now planning to come here). I kinda scrubbed out, but it was still really good. Go to solomoxen.com or http://launiversidaddelasartesludicas.blogspot.com/2010/05/coverage-online-vintage-main-event-bom4.html and translate them Spanish to English.